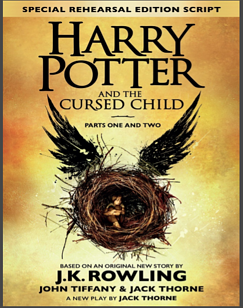 The highly-anticipated book has caused a great deal of excitement amongst wizards, witches and muggles. 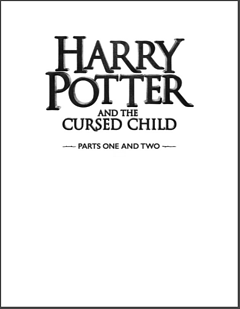 The story surrounds the character of Harry Potter as an adult and has had positive reviews from professionals and fans alike, although there has of course been some criticism of the work, which was always unlikely to satisfy the hungry Potter fandom. 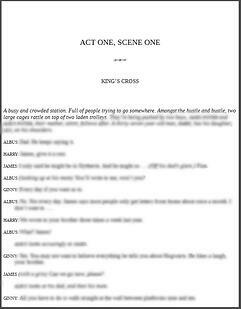 The story will be a West End play and the script was officially released only 9 days ago. The Cursed Child has defeated 50 shades of Grey to become the fastest selling book of the decade, selling 680,000 copies in its first 3 days. 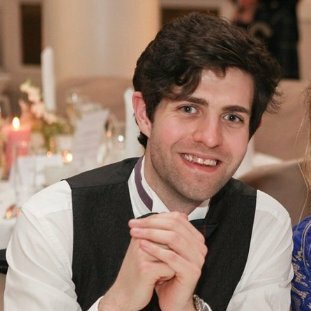 This success is unprecedented for a script - however, not unexpected for a Harry Potter, of which books generated over £250 million in the UK alone and account for a quarter of all the top 50 book sales. With this success have come opportunists looking to capitalize on the buzz. Within three hours of the play's release there were perfect digital copies available online. We were able to obtain a copy on a pirate library after about 10 minutes of searching, completely free and without even providing as much as an email address. Pirate libraries originated in the sharing of academic textbooks and papers but now have extended into comics and works of fiction. While there was some moral philosophy behind the libraries' origins, in their current form it's purely theft and difficult to argue otherwise. Harry Potter fans are a loyal breed and have clearly purchased the book in large numbers, so it's probably true that these downloads will have little effect on the overall Harry Potter success. However smaller authors and publishers require every last sale to make a living from their hard work. Gini Graham Scott details the difficulty for authors in her book "Internet Book Piracy". The book tells the story of one author who, after months of work, made only $117 from her book. The author later found that her book had been downloaded several thousand times on pirate sites. These numbers make the difference between publishers funding or not and even the author's ability to make a living. The sites have a growing library and following: one site claims to host over 2.5 million books and over 52 million articles for free. The Association of American Publishers believe that the industry is losing up to $100 million dollars annually due to piracy. The Authors Guild of America noted a 300% increase in piracy alerts between 2013-2015. As Gini Graham Scott and others point out, not all authors have the time or the knowledge on how to issue a DMCA takedown request and so asking the author to fix this is not a viable solution. Here at Red Points we work with publishers to protect them and their authors. We've noticed a significant rise in the popularity of pirated books, in correlation with the rise on eBook readers and eBooks, which now account for 25% of all book purchases. There is now also growing diversification in the way these pirated books are downloaded; new apps and websites are popping up all the time. We recently looked into the new practice of pirating books on the Telegram app. While eBook vs physical sales have stabilized for now, it's clear that younger people, in general, are more comfortable with the eBook format and that it's only going to grow in the future. That said, the publishing industry is changing to meet the challenges of digital piracy like video and music have done through streaming services like Spotify, Youtube and Netflix. However, eBooks still require technology to defend them online against the "dark arts" of piracy and publishers are not currently equipped to do that in-house. If unchecked, this piracy will result in the decreasing quality of work as authorship becomes less desirable, less diversification in genre as publishers look for mass appeal, and it may make it almost impossible for them to take creative risks on new authors. J.K. Rowling herself was rejected by a number of publishers before one decided to take a risk with her novel Harry Potter and the Philosopher's (Sorcerer's) Stone. It's our duty to support authors as we receive hours of entertainment and information from their work and creativity. At Red Points we are determined to protect the intellectual property of writers and publishers. If you're an author or publisher, use our free audit to determine your online level of risk.